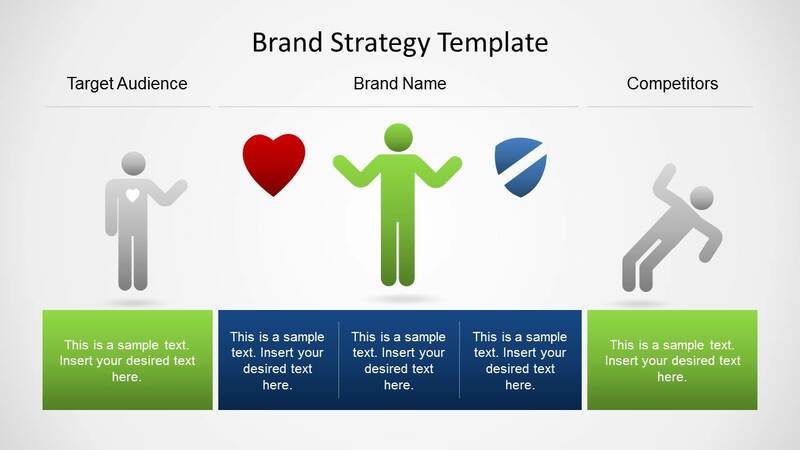 Brand Strategy Template for PowerPoint is applicable to marketing presentations. 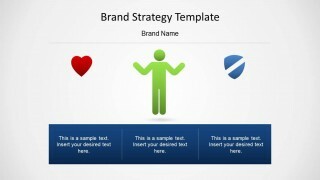 It can show brand strategy plans and brand awareness slide designs. The template uses a complementing blue and green color scheme for a professional design. 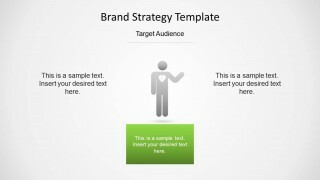 The template provides a visual aid for brand strategies. PowerPoint graphics portray the brand name’s attempt to gain clients while discouraging competitors. 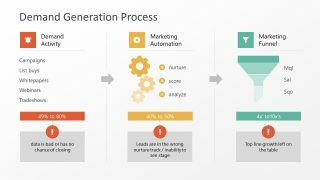 A marketing team can properly explain the details of the strategy using the presentation. The slide designs can show a summary of the plan. The graphics help make the report easier to understand. Three platforms are located on the first slide. Two green platforms flank a larger blue platform. The center one has an icon of a person, between a heart and a shield. To the left of the heart graphic is a customer symbol. A symbol for competitors is found to the right of the shield icon. This diagram shows the purpose of branding. It can invite new customers and prevent the entry of competitors. The three succeeding slides break down the strategy. The three elements are shown individually. By separating them, they can be given more emphasis. The elements can be seen objectively, independent of other factors. 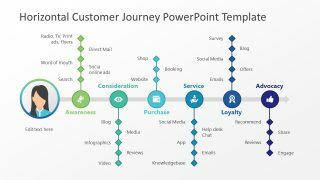 This presentation is perfect for marketing analysis. Each featured platform is located at the center of the slides. 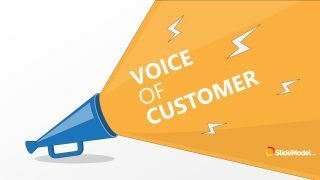 Efforts to gain customer loyalty can be included in the report. Other attempts to gain new clients can be discussed. On the other side, limits can be placed on their competition. Such examples are patents, copyrights, and trademarks. These ensure that competitors cannot gain industry secrets. 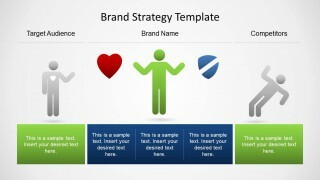 The Brand Strategy Template for PowerPoint is suitable for marketing plans. 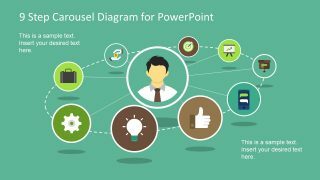 The PowerPoint clipart are flexible. The user can insert or modify their color. Their size and arrangement can be changed without affecting image quality. 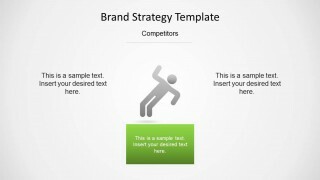 The strategy PowerPoint templates are downloadable from the SlideModel Gallery.